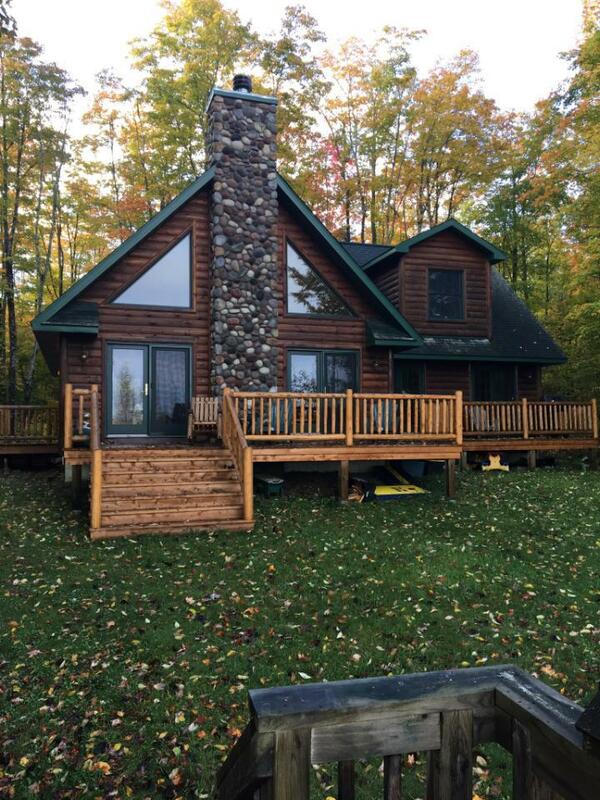 On September 30th, 2018, opening day of Duck Season in Michigan’s Upper Peninsula, I prepped for two hunters who came to Wild Game Dynasty’s camp to enjoy a few days of Duck Hunting in the Big Woods. You may think all duck hunting is created equal, but I am here to tell you it isn’t. Duck Hunting the big woods is challenging but extremely fun! 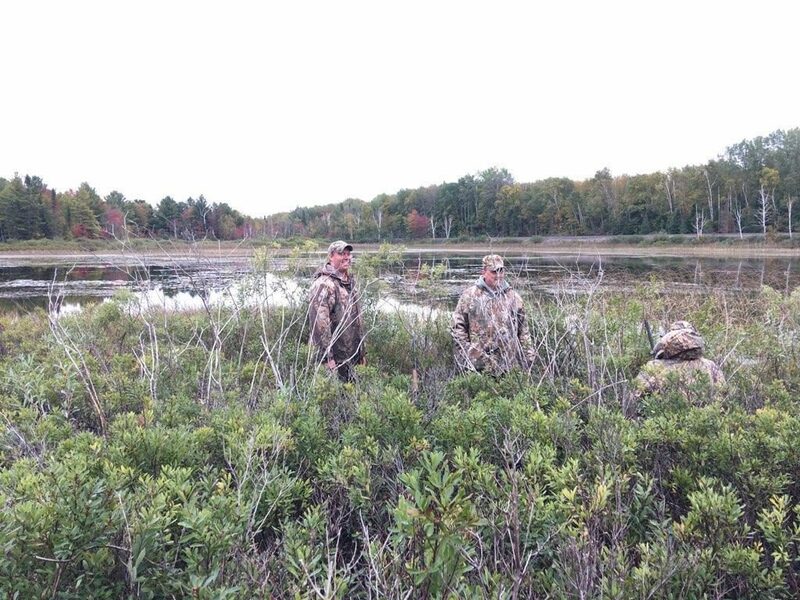 With the help of my friend Sean and my cousin Coot, we were in for some good hunting on ponds deep in the bush. 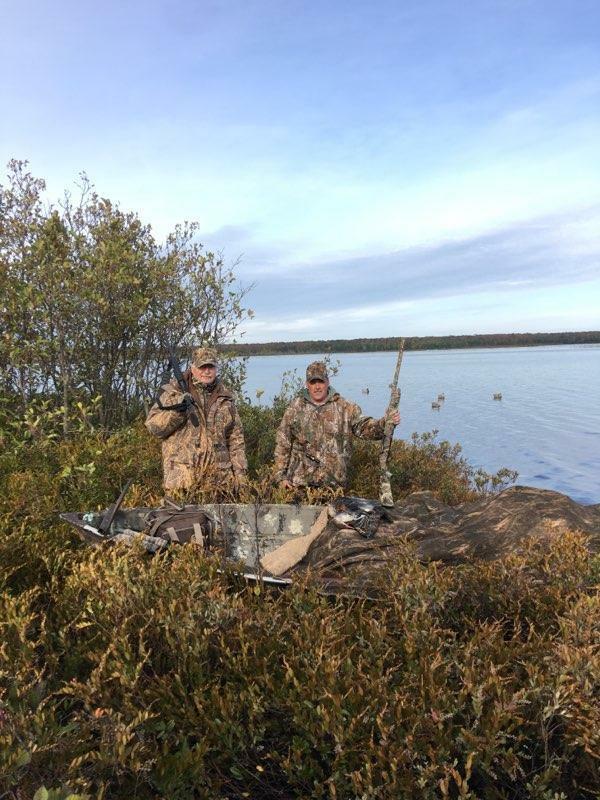 Hunters Mike and Tim booked their duck hunt & drove up from the Lower Peninsula to enjoy the season opener with us in the Upper Peninsula (U.P.). It was their first time hunting ducks in the U.P. and we wanted to make sure it was special for them, something they would remember and share with their friends. Cousin Coot, Sean, and I prepped for the morning hunt while Mike and Tim got settled into camp. The pond we planned on hunting wasn’t very deep but still held ducks. It was connected to multiple ponds upstream, a natural place for the ducks, not counting the food source that was located in the pond. After getting situated in the pond, we got the blinds setup and decoys set on shore, ready to be placed out in the morning. As night began to set in, we paddled back across the pond to beat the darkness, thinking about how many people have ever hunted this pond. We were ready for morning. After a great meal and fellowship at camp, we we headed to bed for an early start the next morning. Early the next morning, we went a couple miles down the two track until we came to the railroad tracks. We grabbed the boat, remaining decoys, gear and starting hiking in. We jumped the railroad tracks, traveling about 300 yards to a secluded pond back in the bush. It was a still, quiet, 45 degree morning with a slight North wind. The moon was bright and high in the sky as we paddled across the pond. We could tell it was going to be a great morning. The decoys were set and we were ready right before legal shooting time. We were set up at the point of the pond. The wind came right over our backs. It was perfect for the ducks to land in on our decoy spread. Cousin Coot and Sean took the outside of the point while Tim and Mike waited at the tip of point where we figured the ducks would be landing. Roughly a minute before legal shooting time, a flock of wood ducks whistled over, landing on the other side of the pond. We immediately thought we may have set up wrong, but that thought passed quickly. Shortly after the wood ducks landed, we had ducks flying all over. The first half hour of the hunt was quite fun…duck calls were quacking and shots were ringing out left and right. The excitement was definitely there, but still didn’t have a duck down. With as many shots as we took, we had some joking going on amongst us. It was enough to keep us warm and entertained. A big joke amongst the guys was, “The Saltine crackers that were stuck in the calls made it sound like a dying rabbit”, said someone. Looking back, I think they may have been the key in calling in so many ducks! The pond was roughly five acres in size and as still as glass. The trees around the pond were in full fall colors. Every shade of red, yellow, orange and green between the conifers, maples and poplar trees was there. The view was unbelievable. “Regardless if we shoot any ducks today, this view is amazing.” I recall Tim saying. It was going to be a great morning in the duck woods. We were entertained with laughs and ducks until 11am and then made our way back to camp to grab a quick lunch and go hunt another pond for the evening. We ended up taking 4 ducks that morning, not a great showing for the amount of ducks we shot at! The afternoon brought us a unique adventure. 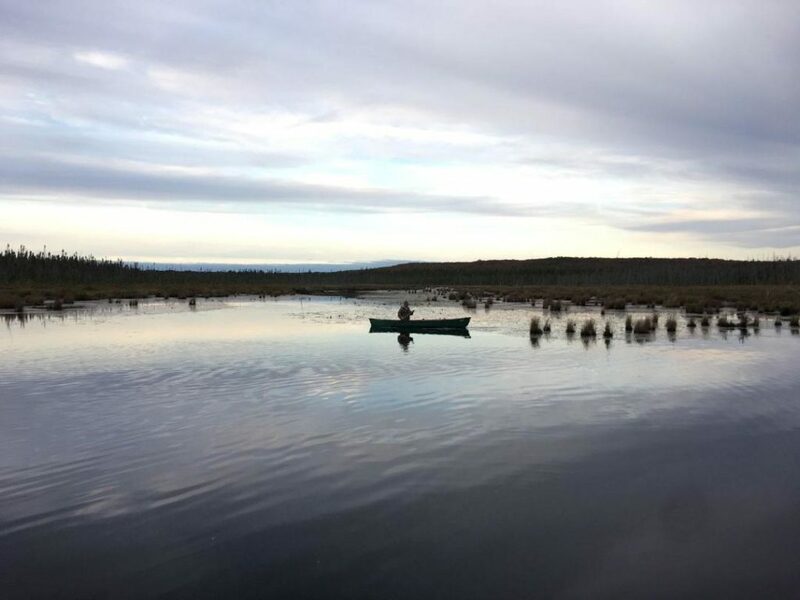 We went motoring upstream through a channel that has 3 beaver dams to get to a secluded pond that usually holds a lot of ducks. Mike, Tim, and I hopped in the boat. 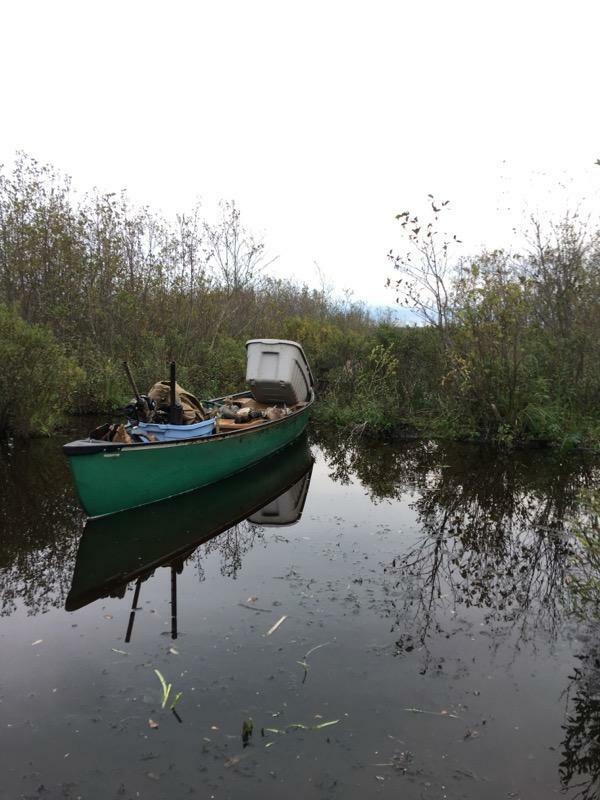 We pulled a canoe with all the gear, and motored through the lake to find the stream. It took some time, as it wasn’t much of a stream. Cousin Coot and Sean were able to walk in over a half mile to get to it, they helped to get the boat and all the gear up into the pond. After working for about an hour, we were able to drag the boat upstream over the beaver dams in a nice honey hole. It had been dammed up by the beavers for years with tag alders surrounding the entire pond. It looked magical. There were previous hunters that hunted the pond on opening day. It appeared they had quite the day with the amount of shells that were back there. After Sean fell in the muck, for a 3rd time, we were set up and ready for the afternoon hunt. Cousin Coot and Sean had to head back home, so it was down to Mike, Tim, and I. The pond didn’t disappoint. It wasn’t long before two mallard hens came flying in. Mike blasted them both before Tim and I could even get our guns ready! We hopped in the kayak to retrieve the two mallards. After those two birds were taken, the sun started to come out from behind the clouds and it warmed up around us. It turned into a bluebird sky day, which really limited the ducks that were moving. We were able to have a few more fly in but weren’t able to get them in on the decoys. After a few more hours, Tim was able to get a shot at two more ducks, knocking one down! We ended the warm night hunt with 3 ducks. We headed back to camp to cook up dinner, clean up ducks, and enjoy a few drinks together. The last hunt of the trip came early. The alarm went off and we grabbed a cup of coffee before we were headed out the door. For this hunt, we were planning on hunting the South Side of the lake. The lake is about 1000 acres. We thought it was going to be interesting to see what kind of ducks were going to be around. Shortly after light, we heard other duck hunters shooting ducks on the other end of the lake. It was quite a shooting spree for a while! Shortly after, we had two ducks come fly right by us. However, no shots were taken because Mike and Tim were too busy cracking jokes with each other to notice the ducks right in from of them! Well, I wasn’t exactly sure what they were doing, but I bet it had something to do with who the better duck caller was! For the rest of the morning, I rode them pretty hard about missing those two ducks! After a rather slow morning, we ended the morning with two ducks – Mergansers at that! Perfect duck for the guys to mount and hang in their house, as a simple reminder of their first duck hunt in the U.P.! Overall, the hunting was good but the fellowship was great! Hunting is my lifestyle. Whether we’re duck, rabbit or whitetail hunting, I love it all. Regardless of what were hunting, the people that share the hunt with you is what makes the hunt. 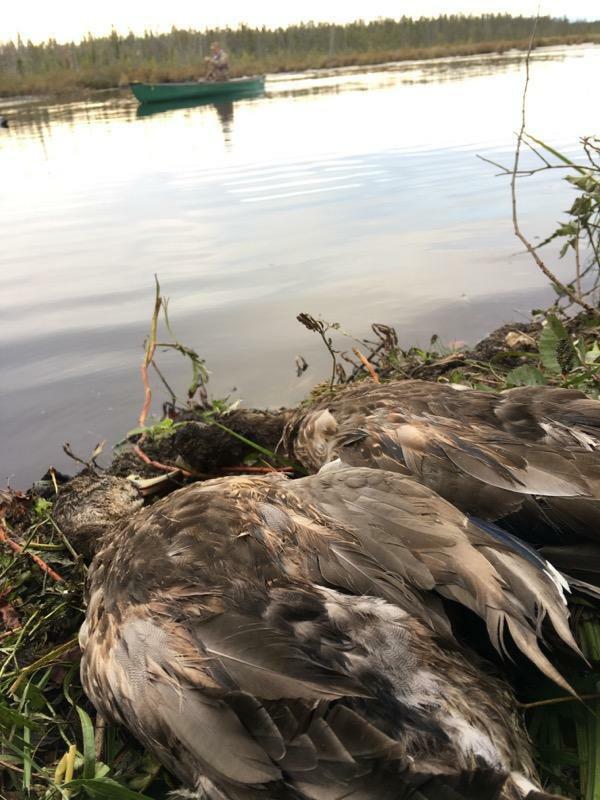 With two guys like Mike and Tim, you can head out to any pond or lake and have a great morning, whether you kill ducks or not. If you are thinking about going on a hunt with some friends, make the time to do it. Those are the important things in life that you’ll always remember.